The Tábor region is greatly appreciated by cyclists due to its varied landscape, which provides an opportunity to make trips to all parts of the region. An extensive network of marked cycling routes, covering a total distance of 400 km, runs to all points of the compass. 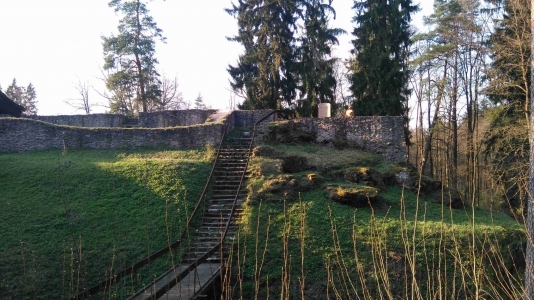 The Tábor region offers plentiful places of historical or natural interest scattered in beautiful, varied countryside. The slightly undulating landscape is dominated by the river Lužnice, which encircles Tábor through a deep valley surrounded with forests and rocks. Fields, meadows, streams and ponds give the final touch to the beautiful countryside. To be able to enjoy the variety you need to get on a bike and set off. Cyclists experience varied landscapes in the Tábor region – flat areas around Veselí nad Lužnicí and undulating ones around Jistebnice and Mladá Vožice, where the altitude of some hills is about 700 metres above sea level, otherwise the altitude ranges between 450-650 metres above sea level. Marked cycling routes will take you to roads with little traffic or to forest tracks. 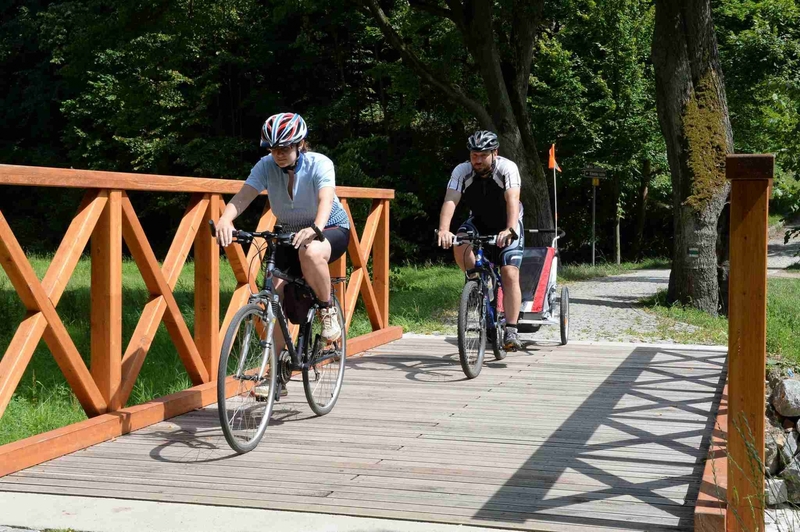 More than 400 km of cycling routes were marked in the Tábor region in 2003 and in autumn 2004 there have been benches, large maps, bike racks and garbage bins available along the routes. We recommend that you purchase maps where cycling routes are marked. Map of South-Bohemian cycling paths IV; the Tábor and Písek Regions 1:75 000, published by Mapcentrum. 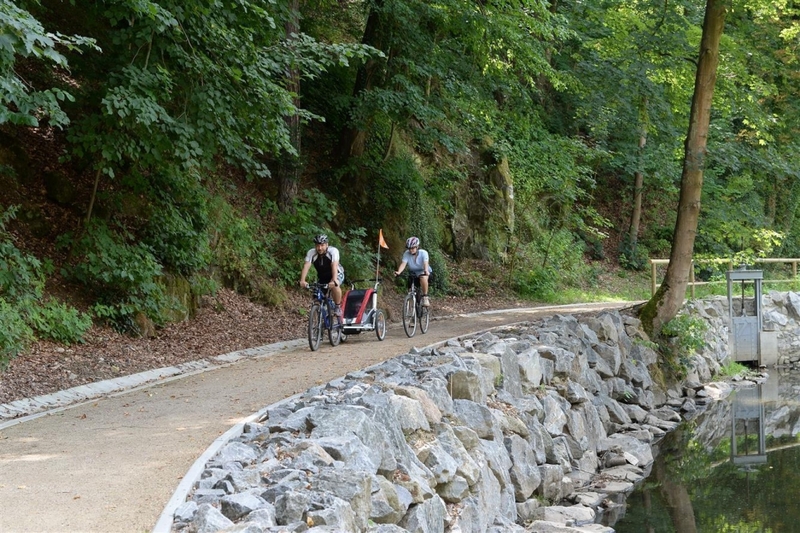 Greenways are cycling and hiking long-distance routes prepared as a complete tourist product. They connect towns, villages, sights and local traditions. This “green corridor“ also runs through Tábor. 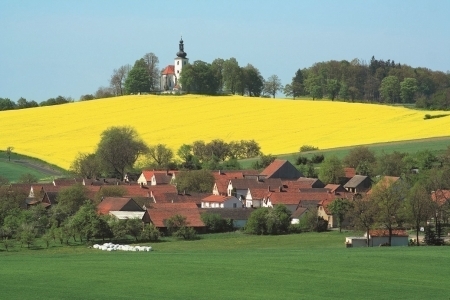 It is a long-distance route which was marked in 1997 and connects Central and Southern Bohemia, Southern Moravia and Austria. It starts in Prague and ends in Vienna, Austria. The route is marked with yellow boards where distances in kilometres are shown. You can find the Greenways route in the vicinity of Tábor in “Táborsko“ map (1:60 000) with a detailed guide, no. 137, published by Shocart. You can pass through Tábor by bike if you follow the yellow boards with arrows, path numbers and a bike symbol. On the map of the town (available from the Information Centre) the cycling path is marked in violet colour. 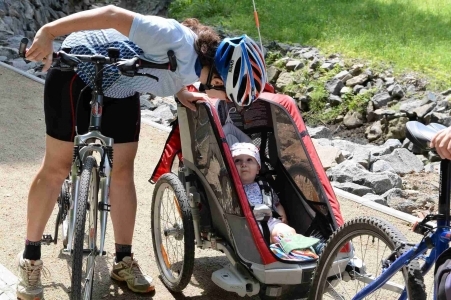 Information about bike rentals, cycling goods shops and bike repair workshops can be obtained from the local Tourist Information Centre or from their web address https://www.visittabor.eu/sport-rentals. Also, some accommodation facilities in Tábor and its surroundings hire bikes to their guests for a reasonable fee. There is a bike shelter in the local Tourist Information Centre. Did you arrive by bike and you would like to do some sightseeing on foot? You can keep your bike in the bike shelter run by the Tourist Information Centre which is available during the opening hours of the Information Centre (during the day). The capacity of the bike shelter is 12 bikes.